Hey everyone! 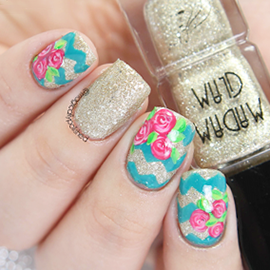 I have a super sweet and special nail art today, and it's all about cats! 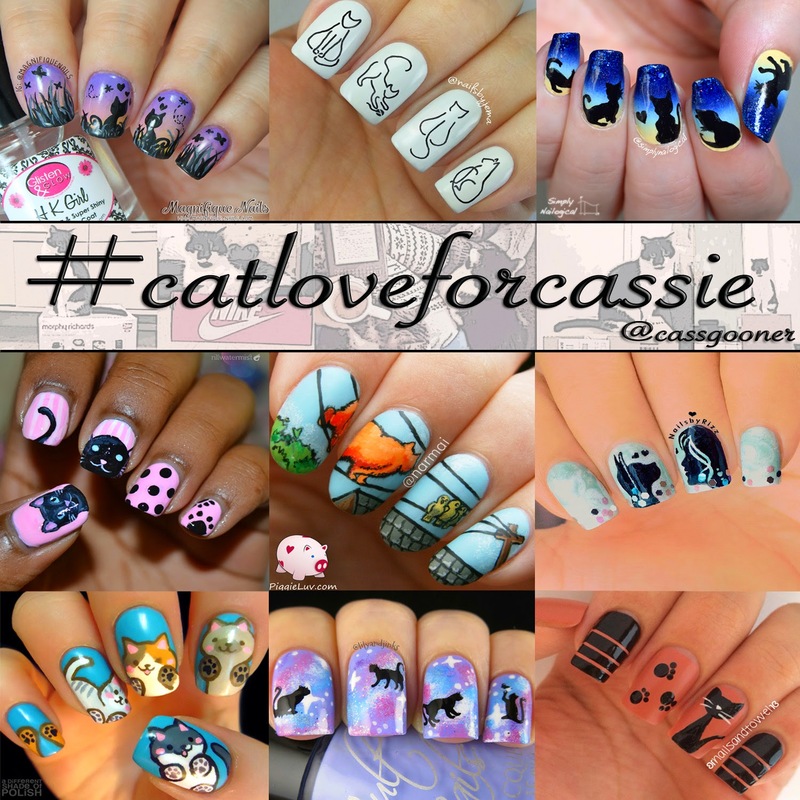 A few weeks ago Christine from Simply Nailogical gathered us cat loving ladies to create a special nail art together on this sweet collaboration for Cassie from @cassgooner. I began by applying two coats of OPI Alpine Snow as the base, for the gradient. On a makeup sponge I layered, Bettina Flip Flops, Super Black The Majestic AAspire Nail Lacquer Cruz and OPI Need Sunglasses. To seal the gradients I applied a thin coat of top coat. Once the polish was completely dried, I free-handed the silhouette with black and grey acrylic paint and detail nail art brush.